The authentic Roland HOTbox, produced and fabricated by Paula Roland, is now available exclusively from Vent-A-Fume. 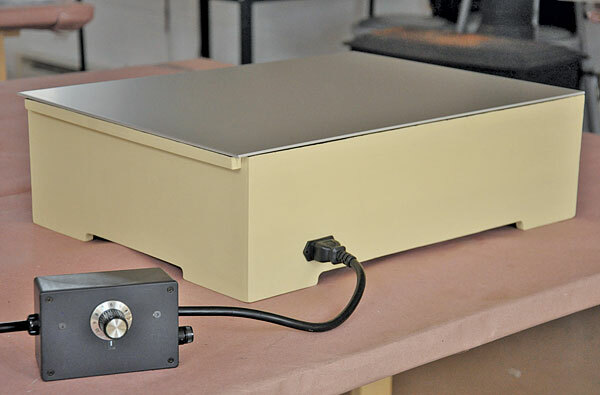 Widely used by encaustic medium artists and teachers, the Roland HOTbox is often considered the most useful, versatile, and energy efficient equipment for working in the encaustic medium. The new Gen3 model measures 16-in. x 22-in. x 6.25-in. (high) and now comes with a 1-year full warranty. An optional 3-year warranty is available. Four 100-watt light bulbs inside an insulated framed box heat an anodized aluminum plate to between 155˚F (barely melting wax) and 200˚F. 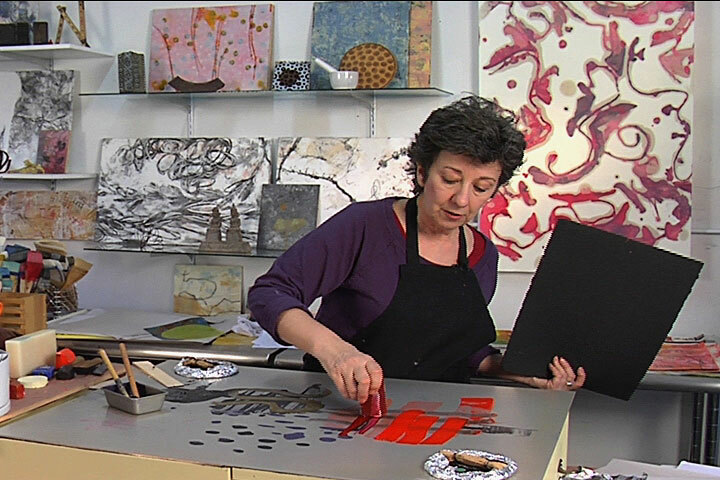 (Many encaustic medium artists work between 170˚F and 180˚F.) The heated plate serves as a palette when painting with encaustic. Pigmented wax is melted on the plate. 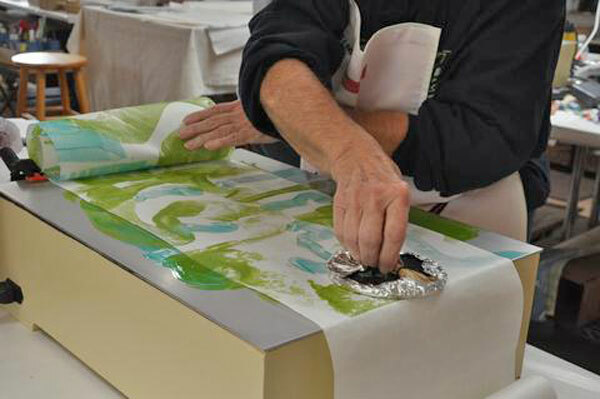 Using encaustic with a brush or tools, the artist creates the work, a one-of-a-kind monotype. The molten image of the encaustic work is then transferred to an absorbent paper, a fabric, or other substrate. No fusing required. No heavy, expensive press is needed. Anodizing provides a strong, protective finish that is easy to clean and keeps colors from changing (oxidizing). The aluminum plates are 1/8-in. thick and available in three sizes to fit precisely over the Roland HOTbox in modular configurations. To avoid over-heating, a temperature sensor will cause the bulbs to automatically turn off if the plate surface temperature reaches 210˚F, then turn back on after cooling to maintain the desired working temperature. Heavy-duty, detachable electric cord with extra wire insulation to prevent arcing. Dimmer box features its own 5.0 Amp slow-blow safety fuse to protect the equipment from short circuits and power surges. Available with Vent-A-Fume Encaustic Fume Extractor for encaustic medium painting studios and workplaces. Vent-A-Fume also offers accessories ideal for use with the Roland HOTbox to help ensure the quality of your encaustic monotypes and safety of your studio or classroom.